Home Gadgets Smartphones Tablets [SALE ALERT] Apple and Beats by Dr. Dre Warehouse Sale on June 20, 2015! 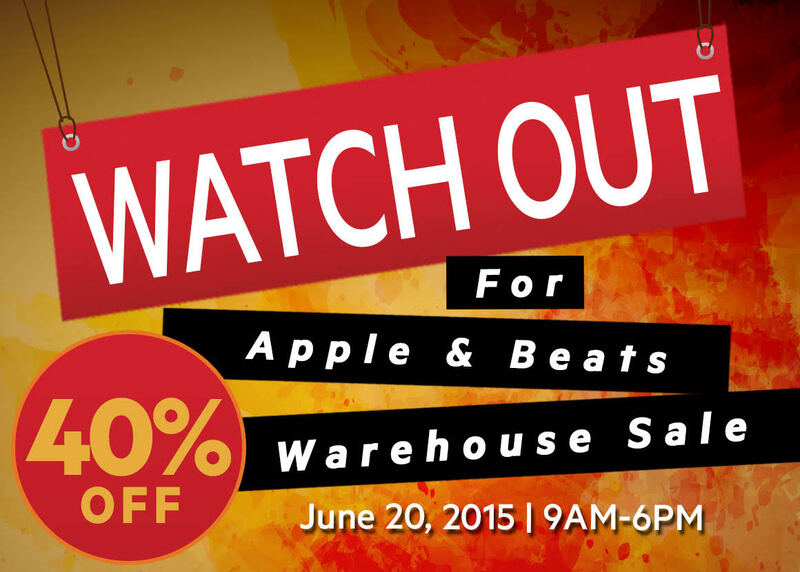 [SALE ALERT] Apple and Beats by Dr. Dre Warehouse Sale on June 20, 2015! It's a long weekend! But here's one more reason to be happy: For one day only, Apple and Beats is holding a Warehouse Sale! Avail of 40 percent discount on selected Apple and Beats models on June 20, 2015, 9 am to 6pm. Please check out MSI-ECS Facebook account for additional information.